A lovely hare in a meadow of wild flowers and dandelions. 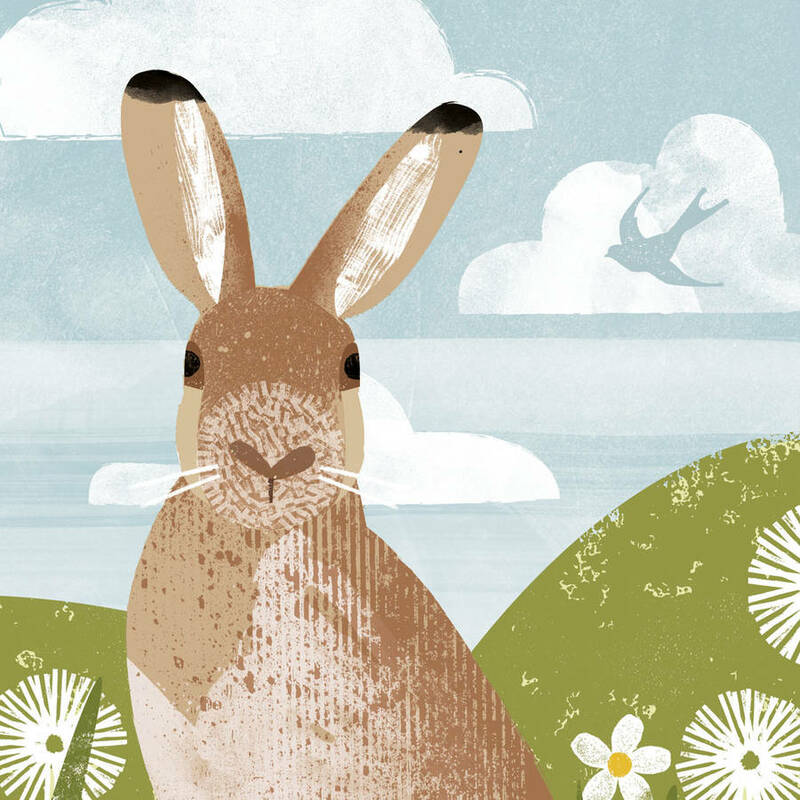 Original illustration by Kate McLelland for Curiouser and Curiouser. 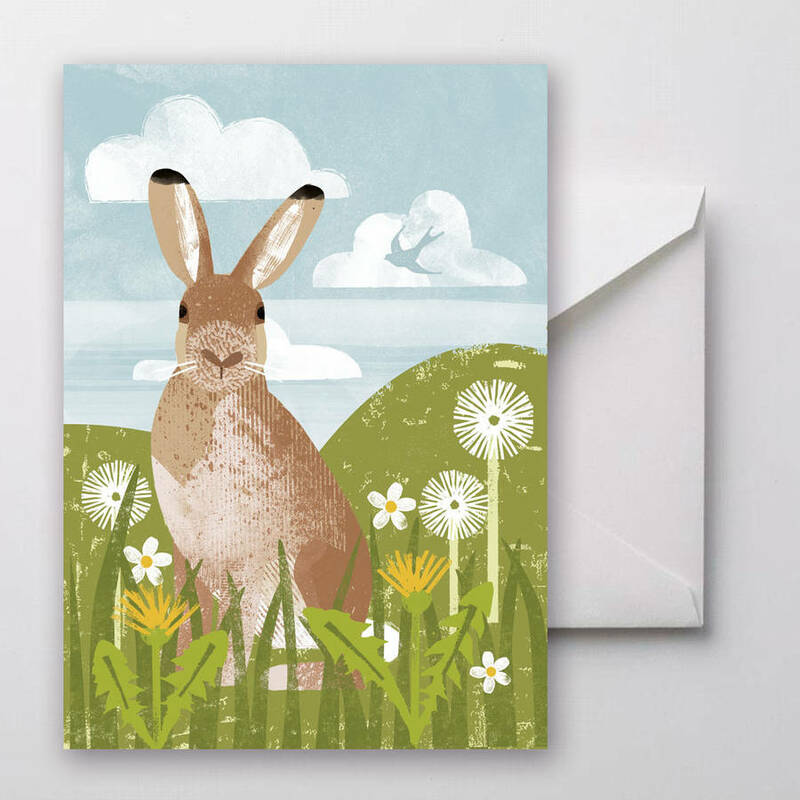 The card measures 5" x 7" (12cm x 16.8cm)﻿ All of the cards are printed on 280gsm smooth card from a sustainable source. They are individually packed in a cellophane pocket with a white envelope. Blank inside.